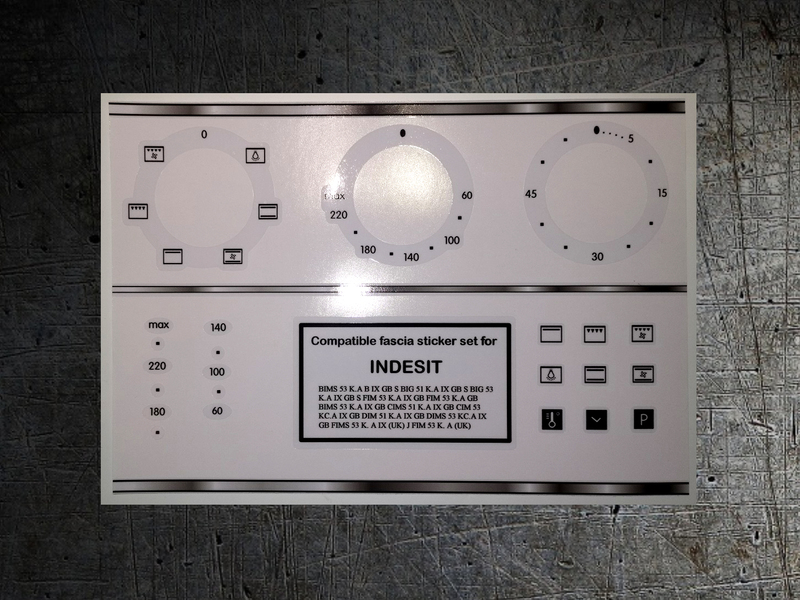 Indesit I5GSH1/UK front panel decal sticker set. Indesit front panel stickers, suitable for many types, check symbols, easy fitting, peel and stick. May not be exact size as original. Clean off all remnants of old, remove dial then peel and stick to a clean dry surface. 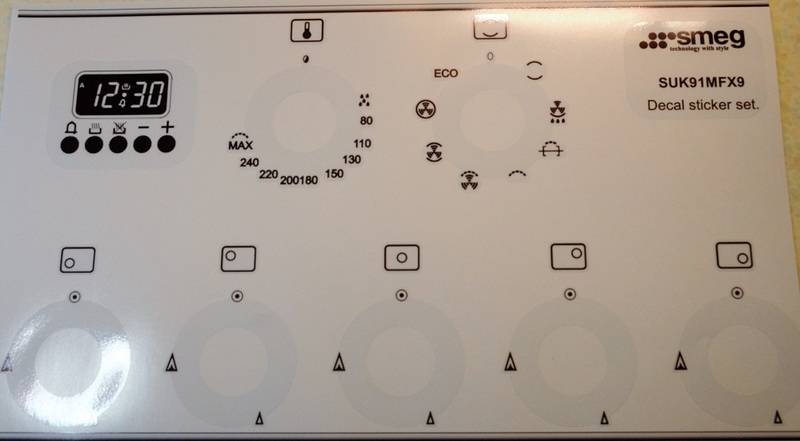 Smeg SUK91MFX9 front panel sticker set for worn out decals.